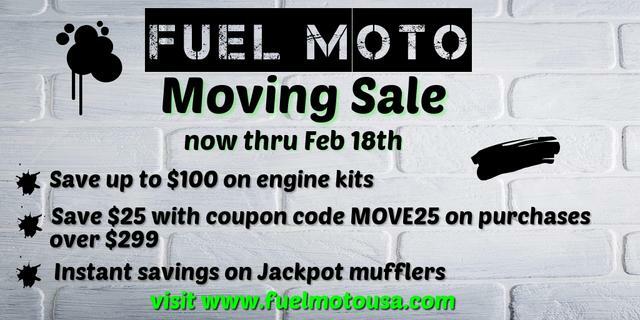 Fuel Moto will be moving to our new facility soon and we are offering some great sale items now thru February 18th. Combine instant savings along with coupon code MOVE25 to stack the discounts. Jaime, are you staying in the same area? We are moving to a new facility about 1 mile from our current Little Chute, WI location.